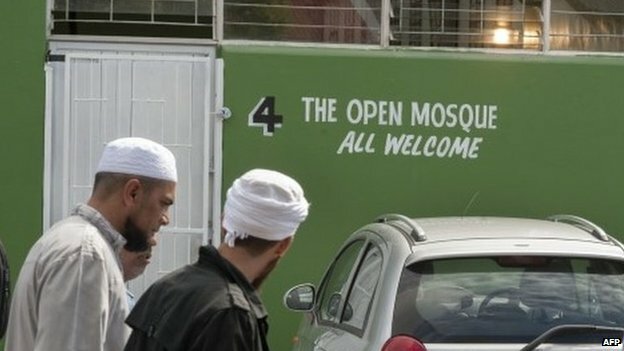 Vice writer Gavin Haynes has a new feature out about Open Mosque, an eclectic liberal mosque in Cape Town. I think he oversells the idea that Open Mosque is unprecedented in its views (the Alevi of Turkey are millions strong, largely secular, left-wing, and gender-equal). Otherwise, I found it interesting. The idea that Islam needs a Reformation like the one Luther kicked off in the 16th century has gained much currency recently with the rise of ISIS and their so-called ‘caliphate’. This is problematic- early Protestants were extreme theocrats (anyone living in Calvin’s Geneva would let you know that), the two religions are dissimilar in a lot of key areas, and since the Reformation global industry, culture, and politics has emerged that create complications. But taking the idea of the Reformation as a potential good, let’s go on. Haynes gives an idea as to what a Martin Luther figure would look like- TV news tends to skimp on the details of how a Reformation would work, besides moderate Muslims creating new institutions that end the reign of hard-liners. Taj Hargey has a key thing in common with Luther- going back to the core text and using it as the moral guide to society. This is a lesson that all religious people can use- going back to scripture, what does it say, and what kind of society does it put forward? What is the gap between scripture and modern day religious authority? I don’t think Open Mosque will change the face of world history like Luther managed to, but it is offering a genuine alternative. What I worry is that violence against him and his congregation will prevent the spread of new ideas.